Amanda Holden took to Instagram last night to share a scorching bikini snap after the Britain’s Got Talent’s series launch. The BGT judge, 48, who is currently sunning herself on a luxury getaway to Dubai, showed off her mega-tanned figure in a skimpy, yellow bikini. Telly star Amanda can be seen sporting a pair of oversized sunnies and holding a large glass of bubbly as she reclines on the poolside. 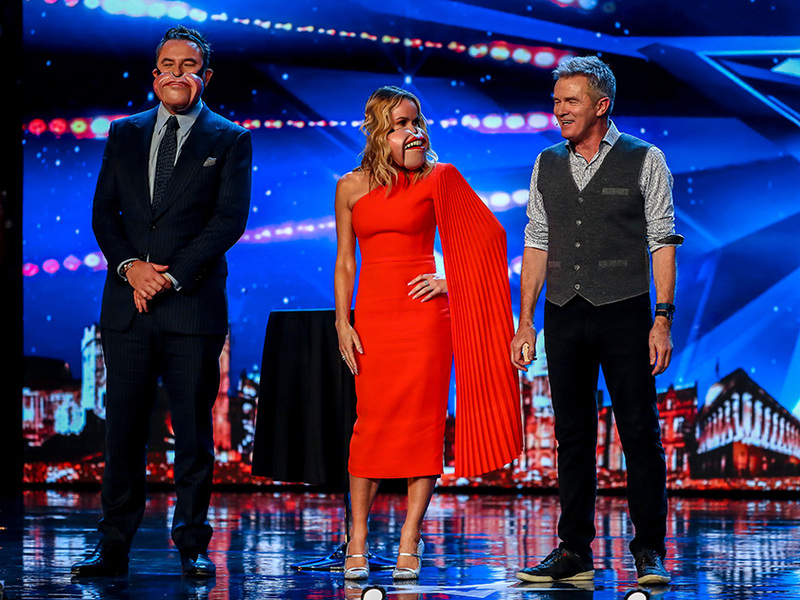 Britain’s Got Talent returned to TV screens on Sunday, raking in a record breaking 9.7 million viewers. Amanda showed just how loyal she is to her spot on the BGT judging panel last week, when she revealed that the only way TV bosses will get her to leave the show is by sacking her. ‘I’ll never voluntarily go, I love this show too much and I just think that for as long as it’s going I want to be a part of it.